Peraton has hired Alan Stewart to serve as an executive vice president and chief financial officer at the firm. In the CFO role, Stewart will have executive responsibility for all elements of the company’s financial planning, accounting, government reporting and auditing functions. He will also help to manage the company’s external audit and lender relationships. Stewart is a veteran CFO. He joins Peraton from Systems Planning and Analysis, Inc., where he served as senior vice president, chief financial officer and treasurer. In that role, he led all financial functions for the company. Prior to this role, Stewart served as chief financial officer for Vistronix, now a part of ASRC, where he helped lead the complex integration of six acquisitions onto a common financial system over a 20-month period leading to the sale to ASRC. 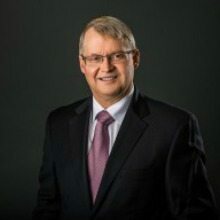 Earlier in his career, he held chief financial officer roles at Oceus Networks, Inc., ICF International, DataZen Corp., Blackboard, Inc. and Deltek Systems, Inc.